O4C Methods empowering the citizens of Casablanca, Morocco — at a recent Open Data ‘Creathon’! On May 19th 2017, the Open4Citizens project co-organised the first Open Data Hackathon for citizens in Morocco. The event was labelled a ‘Creathon’, since it was shorter in duration than a standard Hackathon, and was focused on the non-technical development of attractive open data based concepts. The aim was to invite citizens who had registered in advance on an open Internet platform to reflect on the possibilities of using Open Data to address some of the city’s problems and challenges within the fields of globalenvironment, mobility and health. The goal of the event was to arrive at a set of proposals and solutions that would improve the quality of life of Casablancans. The overarching topic of the creathon was citizen sensitization and education to the environment. 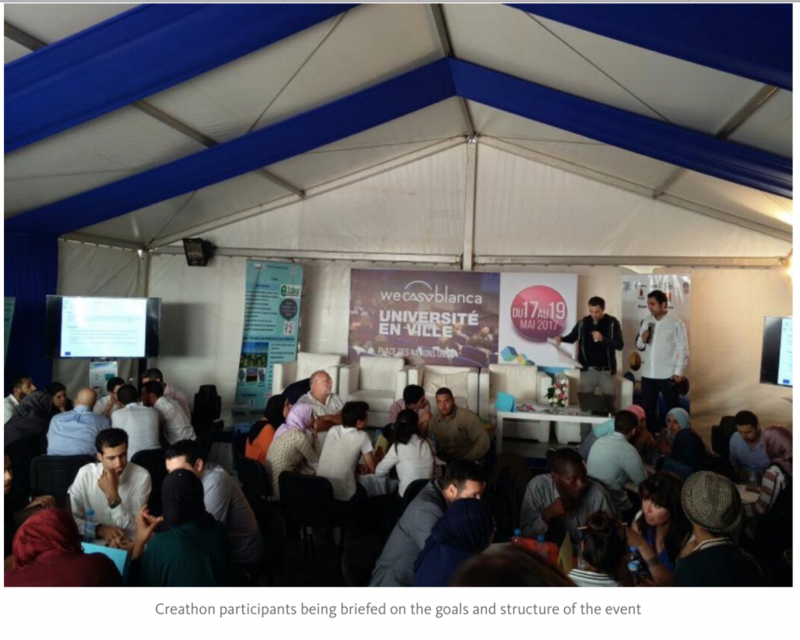 The hack event tried to build upon the momentum generated by the 2016 Marrakesh climate conference, to help empower the citizens of Morocco as digital social innovation leaders in the field of environment protection. Do read the FULL story on Medium.com/open4citizens!